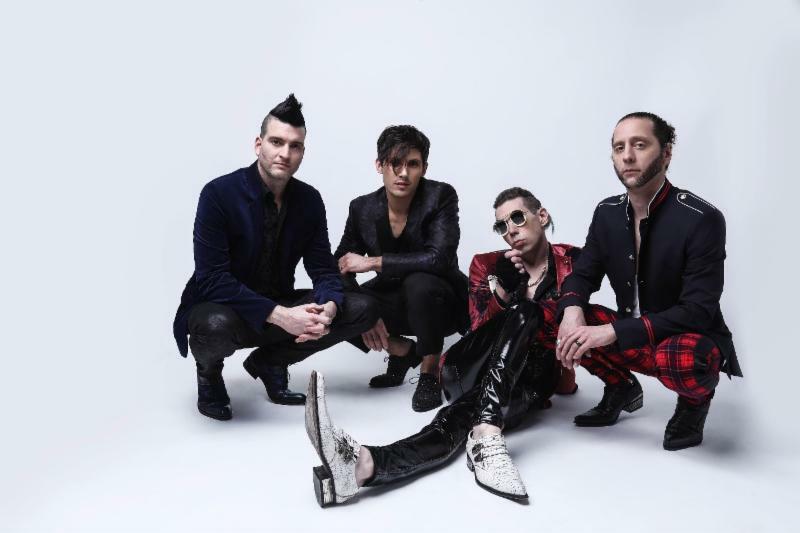 Multiplatinum progressive pop band, Marianas Trench announced their 2019 Suspending Gravity U.S. tour which kicks off in Philadelphia, PA and wraps in Anaheim, CA. Presale for VIP tickets starts tomorrow until Thursday, December 6 at 10pm Local. Tickets go on sale this Friday, December 7 at 10am Local at www.marianastrench.net. The 22-date tour will be held at venues that will give the fans more of an up-close-and personal live experience, and feature the powerhouse Vancouver quartet’s signature high-energy performance, while showcasing material from their forthcoming studio album Phantoms in addition to hits from their previous double platinum and gold-selling albums. “After months of hibernating in the studio, it’s time to get back on stage in front of our fans and share some new music with the world. We couldn’t be more excited. Time to dust off the shiny pants and stretch out the glutes, the Trench is back,” said lead guitarist Matt Webb. The band recently released their latest single “I Knew You When“ (604 Records), an upfront take on moving on from a former relationship and the lingering memories that remain. “I Knew You When” is the perfect combination of fresh pop-rock beats that blend seamlessly with lead singer, Josh Ramsay’s incredible vocals. PRESS HERE to listen. Over the last decade, Marianas Trench have consistently raised the musical bar both in the studio and via their explosive live shows. They have built their name on relentless touring across Canada and globally, headlining tours in the USA, Australia, New Zealand and Europe. Stay tuned for more news on Marianas Trench and for additional information or to purchase tickets, please visit www.marianastrench.net.